One-on-one digital training for your tourism business. Bendigo Regional Tourism in partnership with the City of Greater Bendigo is connecting regional tourism operators to experienced digital mentors. The program will be highly subsidised, one-on-one individualised support and training so these businesses may grow their digital presence, learn new skills in digital management with a goal to improve sales and future business opportunities. Eligible tourism operators are located within the City of Greater Bendigo, Shire of Loddon, Mount Alexander Shire and the Central Goldfields Shire. Are you located within these regions? What kind of mentoring will the program provide? 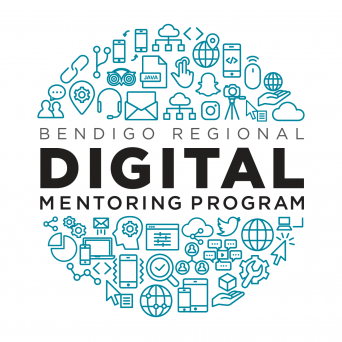 Training and skills provided through the Bendigo Regional Digital Mentoring Program will be delivered within the regional tourism framework, provide business owners with a better understanding of how to leverage the opportunities across the region. What subjects can I choose? Advanced Facebook custom audience campaigns and re-marketing best practice strategies. Depending on which training package you choose, you can choose up to 3 areas for support. The duration of the training will be scheduled over a 4-6 week period, depending on the number of sessions you choose to undertake. The sessions will commence from September 17 and can be scheduled at a time suitable to you until October 31. * Please note, places are limited. Bendigo Regional Tourism in partnership with this City of Greater Bendigo has the right to accept and reject participation in the program should applicants not meet the required criteria. Register your interest below* As part of this process, you will complete a survey to audit your current digital footprint and identify areas you would like mentoring in. Attend the information session in your region. Come along and find out more about the program, how your business can benefit and meet some of our mentors at the same time. Ready to get started? The information you have provided will be combined with a digital footprint audit, will assist us to match your business to an appropriate mentor. Which session pack is best for you? All training is individualised to the needs of the business. Preliminary assessments of the current digital profile for your business will be provided to the mentor prior to commencing. Should you wish to continue to work with the mentor there is no restriction on trade post-program. Choose the best pack suitable to your budget and business requirements. Training can be delivered to you at your workplace, office or residence. Who will schedule my session? Your mentor will make contact with you to work out a suitable time for both of you. This depends on the package chosen. Who should undertake the training? We strongly recommend that the business owner undertakes the training, however you can nominate a senior employee also. An invoice will be sent to you for payment once you have chosen your desired package and a mentor is confirmed. Will I receive training resources? Yes, your mentor will provide notes of your sessions together to help you to remember what you have learned. What happens if I don't like my mentor? Simply let the project management team know, and they will work to solve your issue or match you with someone new. Help, I'm not sure what I need. That's ok, just tell us what you are interested in on the registration form, and we will find out more about what training you required. Can I keep my mentor after the program finished? Absolutely. Should you wish to continue with your mentor, there is no restriction on engaging services after the completion of the program. Council Chambers, Civic Centre, Cnr Lyttleton and Lloyd Streets, Castlemaine. Access via Lloyd street door. Wedderburn - Terrick Terrick meeting room, 37 - 41 High Street, Wedderburn. Mount Alexander Shire: August 27, 5.30pm. Are you a Digital Expert located in our region? We are seeking a wide range of experts to become mentors, match to our operator’s needs, creating positive and successful training relationships. Find out how you can be involved below. a) Each potential mentor as part of the application process must be able to demonstrate paid employment within the communications or digital industries, as a consultant, business owner, trainer, coach, mentor or employee. b) Each potential mentor as part of the application process should nominate the areas they wish to teach/support and provide a clear overview of your technical knowledge, experience and formal qualifications. c) This program is not suitable for marketing or IT students, or individuals who simply have a keen interest in social media and may support others as a hobby. d) All successful mentors are required to attend an information session on Thursday August 23rd, from 2pm - 5pm in the upstairs reception room at the Bendigo Town Hall. Each potential mentor is required to complete the application form with as much detail as possible. Each potention mentor will be reviewed by the Project Control Group to assess suitability. Further information may be requested, via phone or in person, to clarify the responses within the application. Mentors who are selected as suitable will be required to attend a 2-hour planning session where an overview of the program, methodology, tourism landscape and key elements for outcomes will be provided (date to be advised). Mentors are invited to attend the industry information sessions to meet the businesses who are keen to participate. Mentors will be matched with appropriate participants and provided with a snapshot of the client’s digital profile. Should a situation arise where the expert skillset of an approved mentor does not meet the training requests of any client, the project manager will work to explore further solutions. If no matches can be found, the mentor will be advised immediately and their information retained for future specialist training opportunities. A broad range of differing digital skillsets, and strengths will be required. Mentors may choose to specialise in one key area, or teach multiple platforms or skills as requested. It is expected that mentors may specialise in one to three areas; it is not expected that mentors will be experts in every digital field. Where possible, we are seeking mentors from each region (Bendigo, Loddon, Central Goldfields and Mount Alexander) to work with businesses from the same region; increasing the understanding of the local tourism landscape and reducing extended travelling requirements. However, there may be opportunities for mentors who are keen to travel, to assist businesses in different shires. Mentors may work with one or multiple clients throughout the program, undertaking a mix of 2 or 4 session packs. All training is individualised to the participating business and their needs. Preliminary assessments of the current digital profile for each business will be provided to the mentor prior to commencing. Mentoring is expected to take place in the client's workplace or home , using their own resources. Mentors may be required to conduct sessions outside of standard office hours. The duration of the training must be scheduled over a 4-6 week period, depending on the number of sessions each business undertakes. During the 4-6 week period, participants will be expected to complete a series of set tasks to embed the training they have undertaken. Should a client be unhappy with a mentor, the project manager will assist to resolve the problem. This may result in a new mentor being appointed. Should a mentor and business wish to continue working together after the program, there is no restriction on trade or referrals post program. Please read the following information carefully. If you are interested in becoming a mentor, please contact us to request the program application form and information kit. The Project Management Team has the right to accept and reject participation in the program should applicants not meet the required criteria, or due to program demand. Copyright © 2018 Bendigo Regional Tourism - All Rights Reserved.